SOE agent Violette Szabo was one of the most incredible women who operated behind enemy lines during the Second World War. The daughter of an English father and French mother, and widow of a French army officer, she was daring and courageous, conducting sabotage missions, being embroiled in gun battles and battling betrayal. On her second mission she was captured by the Nazis, interrogated and tortured, then deported to Germany where she was eventually executed at Ravensbruck concentration camp. Violette was one of the first women ever to be awarded the George Cross, and her fascinating life has been immortalised in film and on the page. 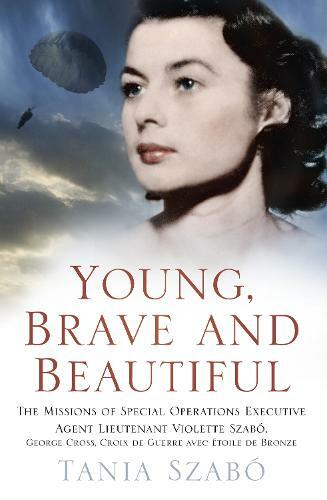 Written by her daughter, Young, Brave and Beautiful reveals the woman and mother behind this extraordinary hero.